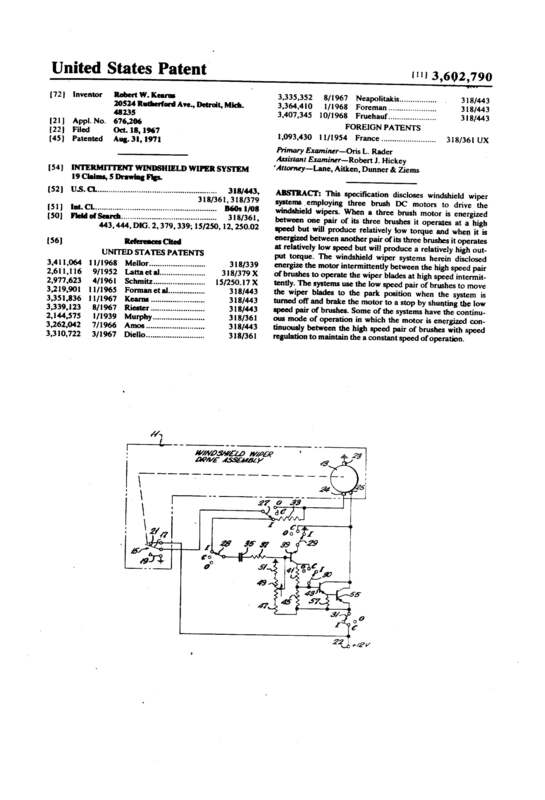 If you saw the movie “Flash of Genius”, then you are already familiar with today’s Patent of the Day, U.S. Patent no. 3,602,790, issued August 31, 1971, to Robert W. Kearns, for an “Intermittent Windshield Wiper System”. The Gary, Indiana Ph.D. engineer/inventor and holder of this and a couple of other patents on the technology, sued Ford Motor Company for patent infringement, reportedly settling for $10 million, and took Chrysler Corporation to trial, acting as his own attorney for over 20 years, ultimately receiving about $30 million in damages from Chrysler. His story was the basis for the “Flash of Genius” movie, and his legal case is still cited as precedent in recent caselaw regarding the issue of obviousness. If you’d like to read this patent, you can find it at http://www.innovativeip.us/images/pat3602790.8.31.pdf. Enjoy! Today’s Patent of the Day is U.S. Patent no. 3,142,599, issued July 28, 1964. 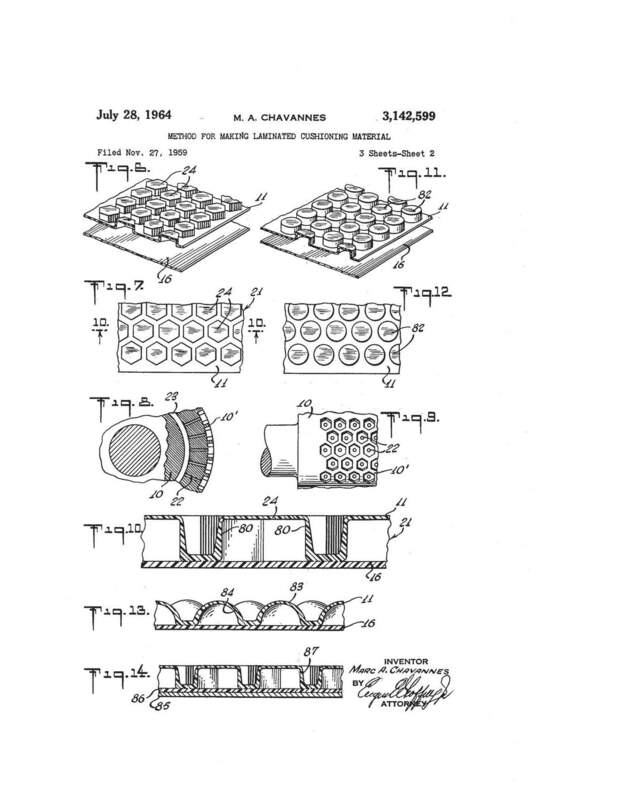 The patent title is “Method for Making Laminated Cushioning Material”, otherwise known under the trademark BUBBLE WRAP. What a great success story for the inventor, Marc Chavannes. After filing his patent application in 1959, he garnered $85,000 in backing and formed Sealed Air Corporation, introducing bubble wrap to the world. Today, the company operates in 52 countries , with more than $4 Billion in annual sales. You can read his story at www.sealedair.com, and you can download the entire patent at http://www.innovativeip.us/images/pat3142599.7.28.pdf to learn just how they make those plastic sheets we love to pop. Enjoy! Today’s Patent of the Day is US Patent no. 1966611, issued July 17, 1934 for a Cocktail Shaker. 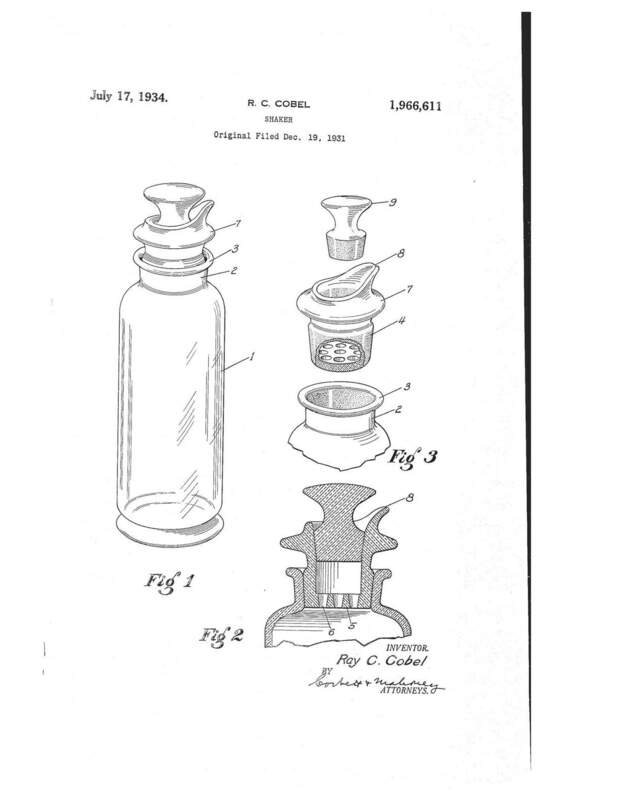 It could be the first patented cocktail shaker design, but perhaps even more noteworthy, it was filed during Prohibition. Hmmm. Inventor Ray Cobel must have had a secret or two. If you’d like to read more, you can download today’s patent on the “Of Interest” page at www.innovative-ip.net. I think I’m going to read this one with a martini in hand! Enjoy!